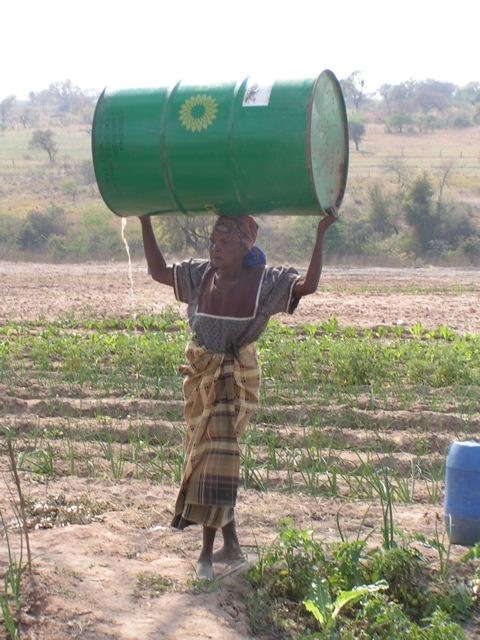 Fundraiser by Jeanette D. Colbert : One Generator Needed To Have Water! One Generator Needed To Have Water! WATER! That precious liquid which everyone needs to live and grow food. In a rural village in the Bushbuckridge region in Mpumalanga, South Africa, a group of about 40 women have been trying to grow food on a 10 acre piece of land the local chief gave them. Their access to water is using wheelbarrows and large water jugs at a local community water tap quite a distance away from their homes and the land the project is on. 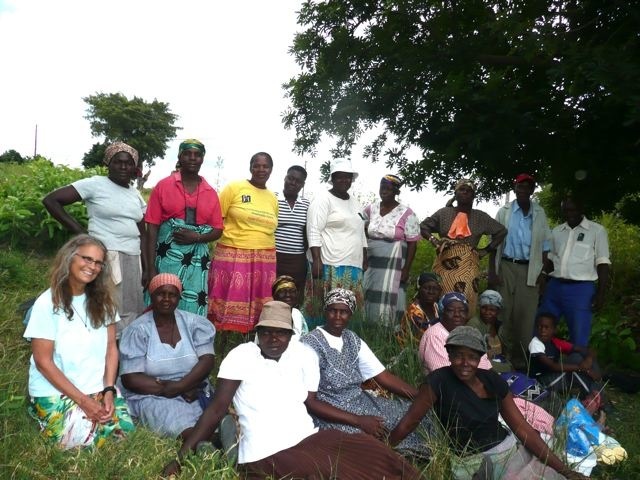 These women want to grow food on a large enough scale for their families and extended families to eat, and also to sell to bring in an income. Mehina, a woman from the project, has children and grandchildren who are all willing and wanting to get their hands in the dirt and grow food. They want to be part of the community that is growing food so they can not only feed their families, but bring in an income to live on. All they need is water for the plants to grow and their desire to become a reality. The well was drilled, the pump, piping, water tank and stand installed, irrigation equipment installed, and all set to begin when ongoing issues with the national electrical company, Eskom, became insurmountable. But, there is a way that this can change! Bypassing electricity, a generator will give these women the water they have been patiently waiting for. The generator will be stored in a locked shed on the property when not in use. My estimation for completion of this project alone is now $3,800. I also plan to assist a woman with a rural hospice project assemble a viable advisory committee to help guide the project. 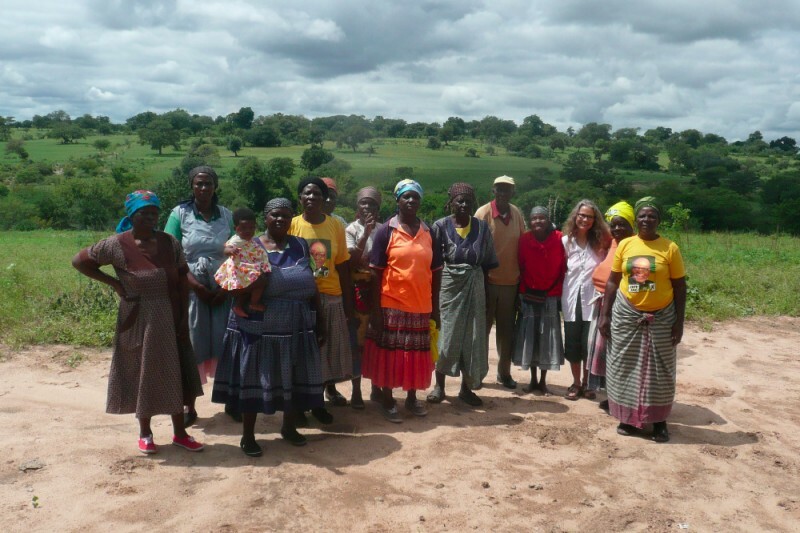 Your contribution to the Cunningmore Women’s Agriculture Project would bring so much joy and relief to these 40 women, their extended families, children and local community. The impact would reach hundreds of people. I will feel a sense of relief and gratitude in seeing this project finished. I will feel much joy to see these women have water to grow food. · Housing for protection/safety of entrance to well. I intend to be in South Africa in person starting in mid March to oversee and finish the project and have a celebration with them. I also will be setting up a team of people to look after the equipment and keep it in running order. Your donation to these women so they have access to water and can grow food will make a huge difference in so many lives. Besides giving them water, it gives them a sense of purpose and more self-confidence. If you want a tax deduction, please donate through Doroteia Pathways Foundation 501c3. Go to: www.doroteia.org and click on 'donate' for an online donation. Click on 'add special instructions to recipient' and type in Cunningmore Women's Project so your contribution is routed to the project. Thank you and much love and gratitude to you. Feb. 2013 - Meeting to keep the vision of water alive! My return to South Africa in 2013 for two months. Youngsters discussing the importance of growing their own food! 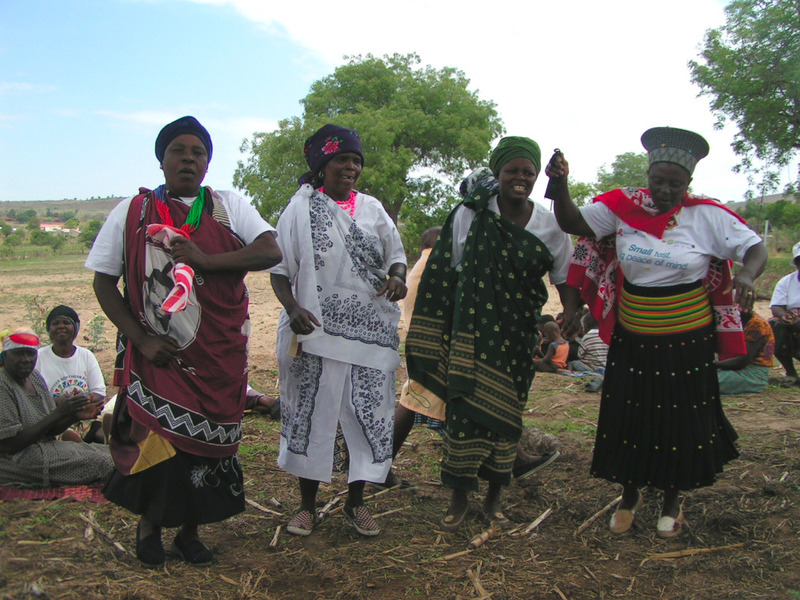 Project participants dancing after drilling for water. Thank you so much to all of you who have donated to the Cunningmore Women's Agriculture Project. We are close, but still have a ways to go. I have been quite busy with many different aspects of this project. I will be out at the land on Monday discussing many things with the women in terms of their continued vision for the land, and a system they come up with that they will implement for paying for the diesel, maintenance, etc. The issue of theft is huge in the rural areas, and we have a multi-layered plan in place. This will also take continued monitoring. I am working out with some local people in the area to be part of that monitoring system. Our goal is to have what we need by next week so we can order equipment, and then schedule an installation day. It most likely will take more than one, as delays or something taking longer is part of the process here! It truly helps for people to share this page, as the more the word gets out, helps us to be closer to having running water. You can receive a tax deduction if you desire that. Go to the Doroteia Pathways Foundation link below. GREETINGS TO ALL OF YOU FROM SOUTH AFRICA! I have been here nearly two weeks, have my car running, been busy settling in, and researching the women's agriculture project. It is great to be here and connect with many wonderful people. I was out at the women's project two days ago with someone to assess what was there and the equipment needed. For many reasons, we will be going to a 3 phase diesel generator system. The cabling and piping aneeds to be replaced as well as needing a 10,000 liter water tank and some other equipment. The estimate we thought would cover everything is a bit short! WE NEED TO FUNDRAISE AN ADDITIONAL $1,500 TO COMPLETE THIS PROJECT SO THE WOMEN HAVE WATER TO GROW FOOD. Whatever you can contribute to the final stretch of completing this project will be warmly welcomed and appreciated. The generator will need to be ordered and our goal is to complete this project ASAP! Thank you for your contribution to help create something vitally important.....WATER and a way to grow FOOD....for many people from a rural village in the Bushbuckridge Region of South Africa. The easiest way for me to access donations from South Africa is from this gofundme page. If you want a tax deduction, you can donate through Doroteia Pathways Foundation. (link below) Be sure to include Cunningmore Women's Project if you contribute through Doroteia, so they know where to route your donation. Please share this page with anyone you think might be interested. THANK YOU TO ALL WHO HAVE CONTRIBUTED TO HAVE WATER FLOWING at a rural South Africa women's agriculture project! We have reached our goal of what we think will be needed to complete the project. If any is left over it will go to a hospice project in Acornhoek, South Africa. I will be leaving for South Africa very soon, and I will periodically post updates on Facebook, including the gofundme page and emails. My heart is filled with joy to all the people who have contributed. YOU are helping to create something vitally important....... WATER and a way to grow FOOD...... to many people from a rural village in the Bushbuck Region of South Africa. SO CLOSE TO WATER FLOWING at a rural South African women's agriculture project! THANK YOU TO ALL WHO HAVE CONTRIBUTED! Just $300 is needed to reach our goal! Food will be grown and shared among the families of the women in the project and sold to the community as a way of creating money to live on. Please check out my latest interview on Chico Community Radio KZFR on 2/9/16 http://www.ecotopiakzfr.com/ on Susan and Stephen Tchudi's show, Ecotopia. Whatever size your donation is, it will make a difference. THANK YOU!! Please click below to add your gift to the women's project. 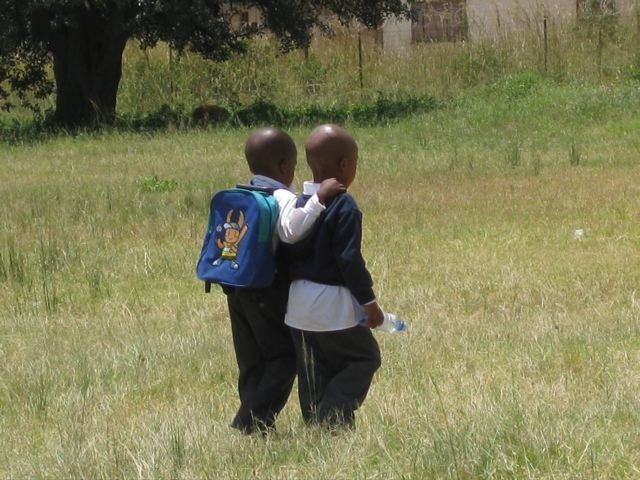 Any additional donations that come in will go to a hospice project in Acornhoek, South Africa. If you prefer a tax deduction, click on the link below and go to the link for Doroteia Pathways Foundation, 501c3 in the project description. Be sure to add 'Women's Africa Project ' on the memo. PLEASE SHARE THIS PAGE WITH YOUR FRIENDS. Thank you! Yea, Jeanette - many thanks for this good work you are doing!